I went to this year’s Strawberry Festival without a thought as to what the featured brand might be at this year’s show, and I was excited when I saw that odd balls fit the list. I love the old and different and the tractor turn out was great with something I had never seen before, a Friday power hoe (that will be in a future column of Farm World) as well as a very cool John Deere 5010 and 410 Navy Seabee which will be profiled in an upcoming issue of Heritage Iron! 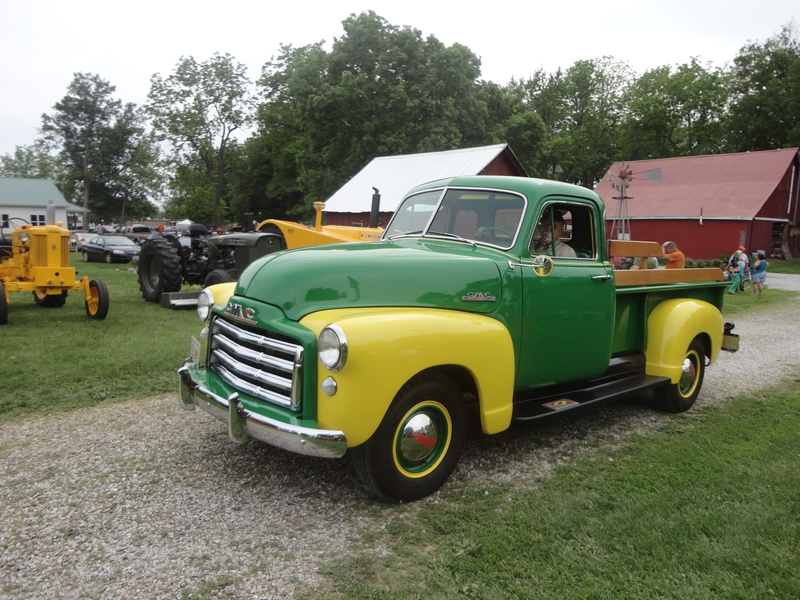 Even though I had seen this before, one of the neatest things at the show was Irv Wildhagen’s John Deere service truck that this talented John Deere fan meticulously put together. The show was bright and sunny on Saturday with rain on Sunday, but the festival wouldn’t be the festival without a shower or two and as my husband the farmer said, “The beans could use it”.